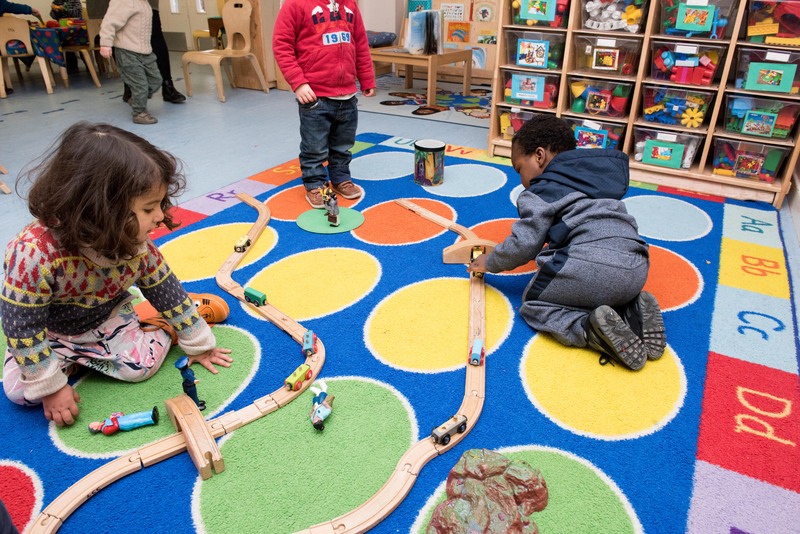 The Toddler Unit is made up of three rooms – Dragonflies, Bumblebees and Butterflies – which are designed for children aged two to three years. They are set out so the children can learn through play, allowing them to explore their natural curiosity and gain independence. 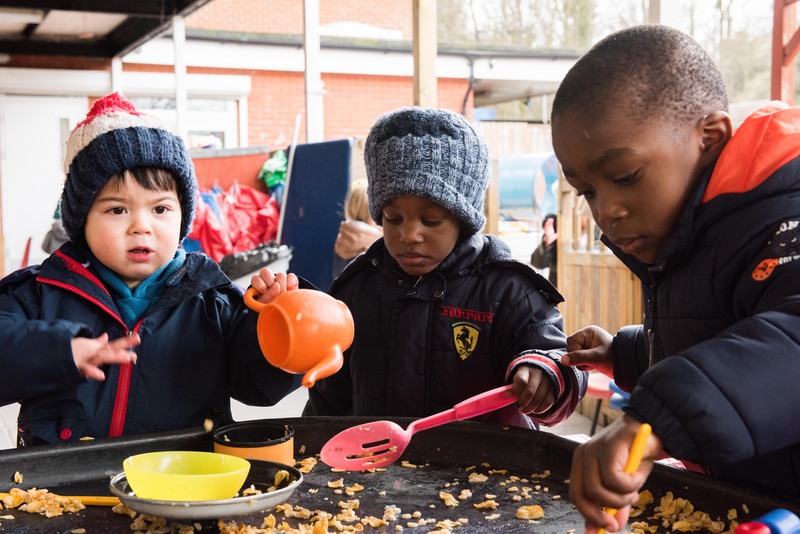 At this age the children have lots of energy, so free flow is a major part of their routine, providing them with the freedom to explore their indoor and outdoor environments. The children are building on their independence and the activities are child led. Sand and water play is provided along with messy activities such as painting, corn flour, shaving foam and play dough. Small world activities such as dinosaurs, cars, trains and animals are popular with this age group. The home corner provides quality role play opportunities to allow the children to enjoy everyday experiences with each other e.g. kitchen and feeding dolls. They also do lots of singing to help develop language. They have small group sessions where they participate in sessions such as “In the box”, action songs and ring games.